It’s not accessible to casual users because it requires specialized coding knowledge. And even if you do have some of that knowledge, it can still take up too much time if you’re not a CSS guru. 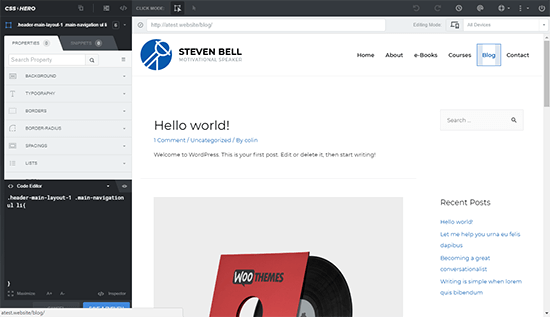 CSS Hero is a WordPress plugin that solves both those pain points. It gives you a simple, beginner-friendly interface where you can quickly edit every single element on your site. If you’re a casual user, you can stick to the graphical interface where you’ll be able to apply styles using simple dropdowns and color pickers – no actual CSS knowledge required. And if you’re a developer, you can also take advantage of the in-dashboard code editor to quickly apply your own tweaks as well. 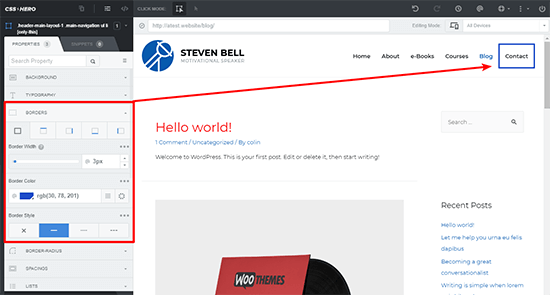 In my CSS Hero tutorial and review, I’ll first show you how you can use CSS Hero to customize your WordPress theme (and plugins!). Then, I’ll give you some of my own thoughts on the plugin at the end. 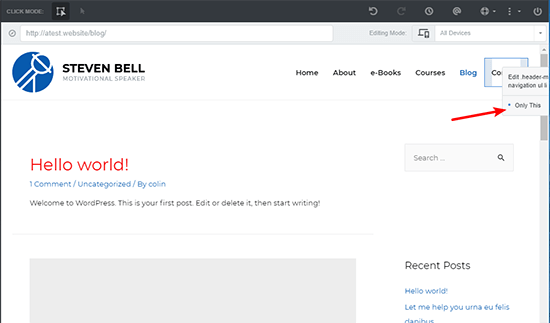 I’m going to start with a quick high-level look at how CSS Hero works. Then, I’ll jump into a more detailed how-to in the next sections. Ok, now it’s time to jump into some actual examples. That’s a simple example…but it’s not a great example because it’s something most theme options already let you control. Now, let’s say you want to add a border around the Contact link in your site’s top navigation menu to draw attention to it. This is something I’ve done on my portfolio site and I’ve received a few different comments asking how I did it. By selecting Only This, you tell CSS Hero that you only want to edit this specific navigation menu link, rather than all navigation links (for the example above, that would include Home, About, etc.). See the difference? When you just left click – you select every instance of that type of link. But when you right-click, you can select only one specific instance. I could keep showing you more examples…but honestly, it’s pretty much the same for every element because all you need to do is “Click → Style”. Beyond the simple “Click → Style” interface, here are some of the more advanced things you can do with CSS Hero. Set up your own “media queries”. 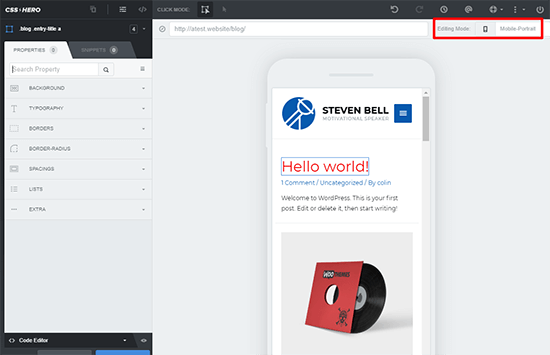 If you’re not familiar with what a media query is, it basically lets you control how your site looks for different devices. For example, you could set up one media query to target “smartphones”. 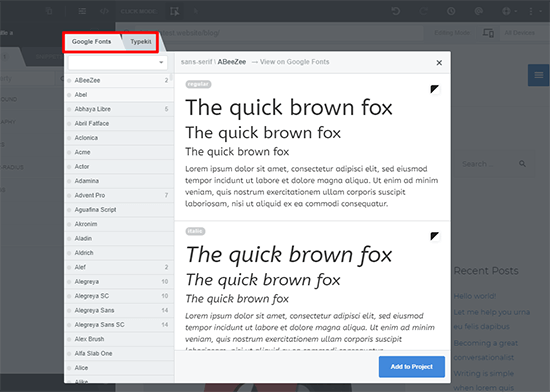 Choose from the pre-made media queries for popular devices. If you select one of the different devices, you’ll see a live preview of your site on that device. But more importantly, any tweaks you make while in this mode will only apply to that specific device. For example, you could change the font size of your post content but only for mobile phones. Or you could hide a CTA button but only on mobile devices. Or just perform any other CSS tweak for specific devices! CSS Hero is great because it bypasses the need to understand the underlying CSS code. But if you do already understand CSS, CSS Hero also includes some neat features that can speed up your workflow. Snippets – snippets are saved, reusable edits that you can quickly apply “on the fly”. CSS Hero includes a bunch of built-in snippets, but you can also save your own edits to reuse later. Variables – variables help you control commonly used values. For example, you could save your primary brand color as a variable. Then, you would use that variable in your CSS code instead of hard-coding the actual color. The benefit is that if you ever need to change your brand color in the future, you only need to edit the variable once, rather than editing every single instance like you would if you hard-coded the color. 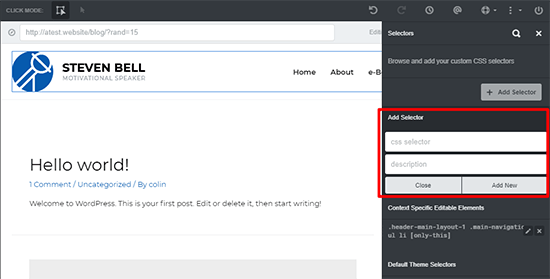 By default, every time you click on an element on your site, CSS Hero will select that element to edit. 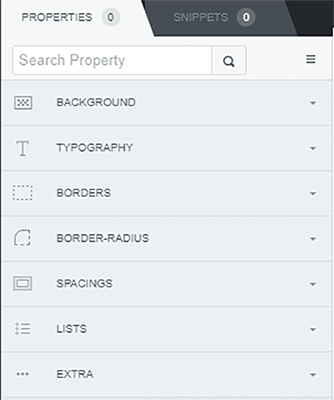 But what if you want to navigate to a different page to style that page? 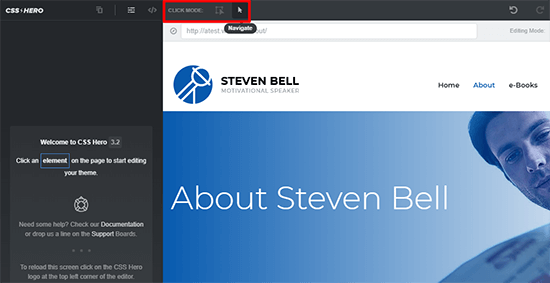 In Navigate mode, you can click to browse around your site. Then, when you’re ready to go back to editing, you simply switch back to Select Mode. 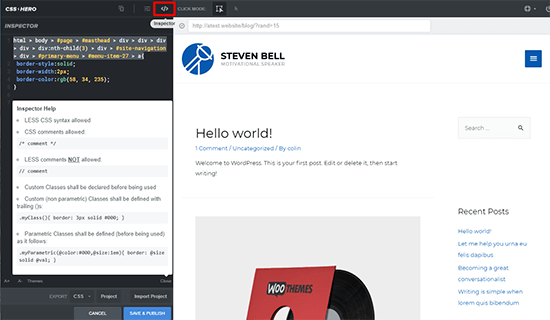 You can use CSS Hero to customize plugin output, too! Have you ever installed a plugin that does exactly what you want functionality wise…but the output is just ugly even though it’s functionally perfect? This is something that’s especially common with free plugins. And it’s also a pain point that CSS Hero can completely eliminate. Basically, everything that I detailed above applies to your plugins, too. Wave goodbye to ugly plugin output forever! 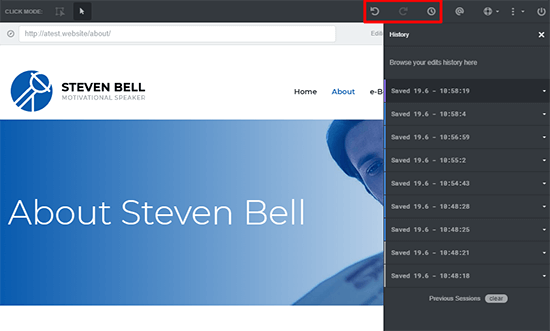 But with CSS Hero, you can always grab the right selector on the first try. So even if you prefer to work directly with CSS rather than CSS Hero’s graphical options, I think it still might speed up your workflow just because of how easily you can navigate between selectors (including media queries). 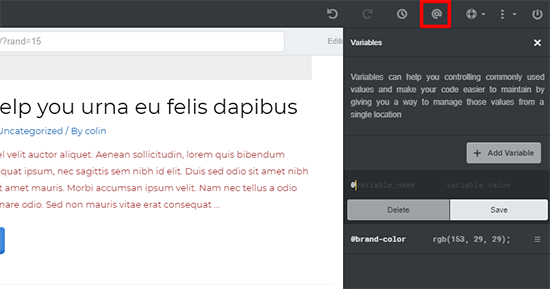 Speaking of directly editing CSS, I love that CSS Hero has something to offer for both casual users and developers. If you have no idea how CSS works, you can just minimize the code editor and make all your tweaks through the graphical interface with dropdowns, color pickers, etc. 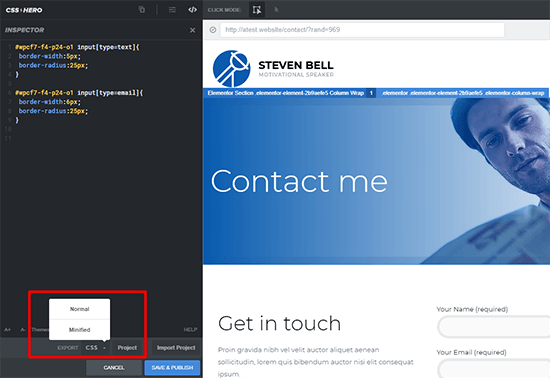 But if you do know how to use CSS code, you can use the code editor and inspector tools to directly work with the code. This isn’t a “jack of all trades master of none” scenario, either. 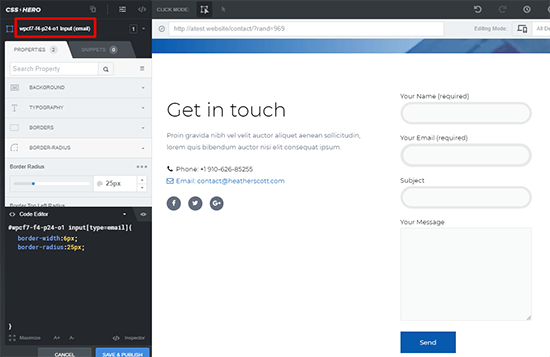 I really think CSS Hero does a great job on both fronts. CSS Hero requires an active Internet connection in order to function. So if you ever work on sites on a localhost in an environment with no Internet, you won’t be able to use CSS Hero. This is pretty niche. And if you plan to work on your live website all the time, or just don’t know what I mean by “localhost”, you probably won’t ever run into this issue. CSS Hero Price: How much does it cost? All plans come with one year of updates and support, as well. Whether you’re a beginner or a CSS expert, I think CSS Hero has something to offer. It doesn’t just make CSS easier, it also makes CSS faster. So no matter which of those two things you’re chasing after, you can benefit. I also love that it works on plugins. 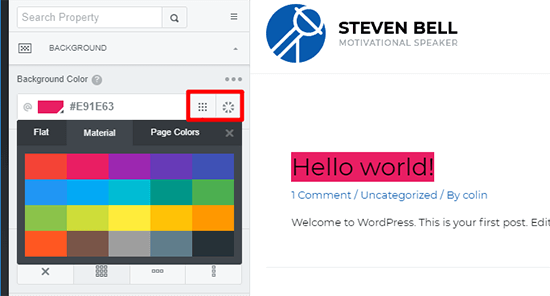 Making plugin content look right is something a lot of WordPress users struggle with, so a tool that’s this accessible is hugely beneficial. Additionally, if you’re someone who does want to get better at actual CSS, CSS Hero is awesome in that way as well. 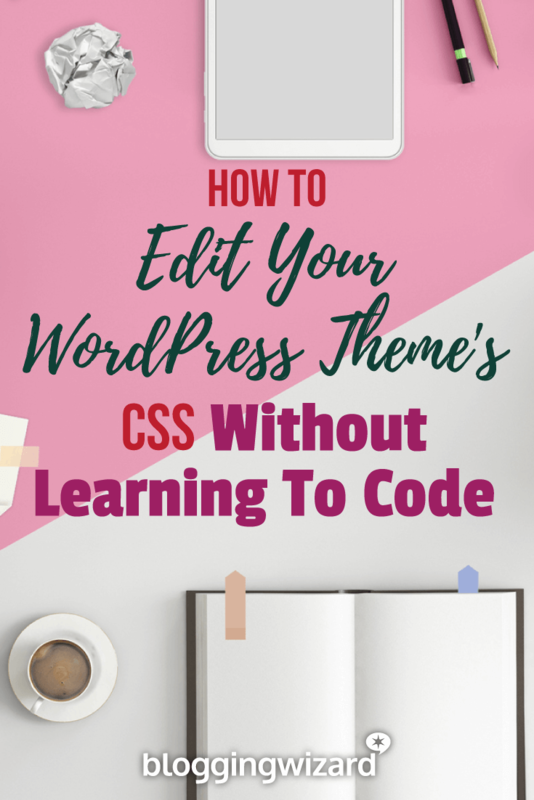 Because you can use both the graphical editor and the code editor, you can learn about CSS by studying how the underlying code connects to the stuff you’re doing in the graphical editor. 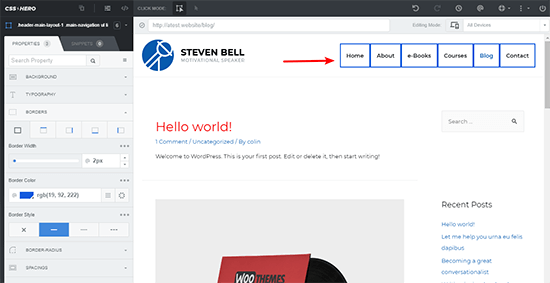 All in all, if you’ve ever felt limited by your theme’s and plugins’ customization options, or if you just want a way to speed up how you build WordPress sites, give CSS Hero a look. 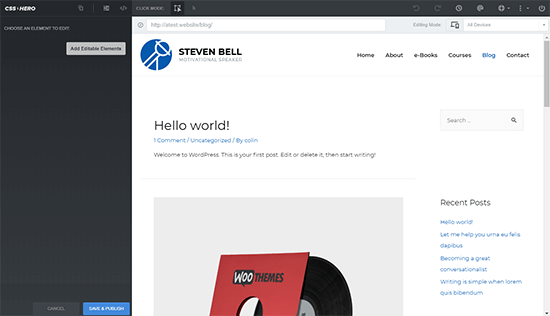 CSS Hero offers a bunch of theme and plugin demos at its site, so you can play around with the full editor before you crack open your wallet! 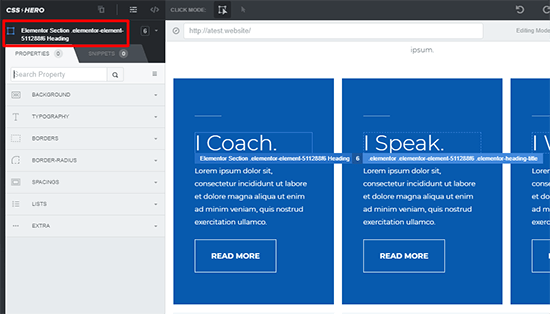 Leadpages Vs Instapage: Which Landing Page Builder Is Right For You?